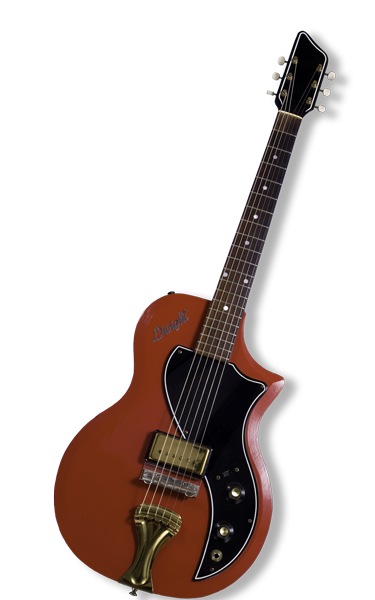 In the late 50's/early 60's, in East St. Louis / Belleville, IL, a very small number of Dwight Guitars, were manufactured thru Valco/Supro. These guitars were made for a local music store owned by Sonny Shields. Mr. Charles "Dwight" Shields... owned Sonny Shields Music. These rare, Supro made, Dwight Guitars were manufactured for Sonny Shields Music as a "House-Brand" for his guitar students. Only 18 of these house-brand Dwight Guitars were manufactured. 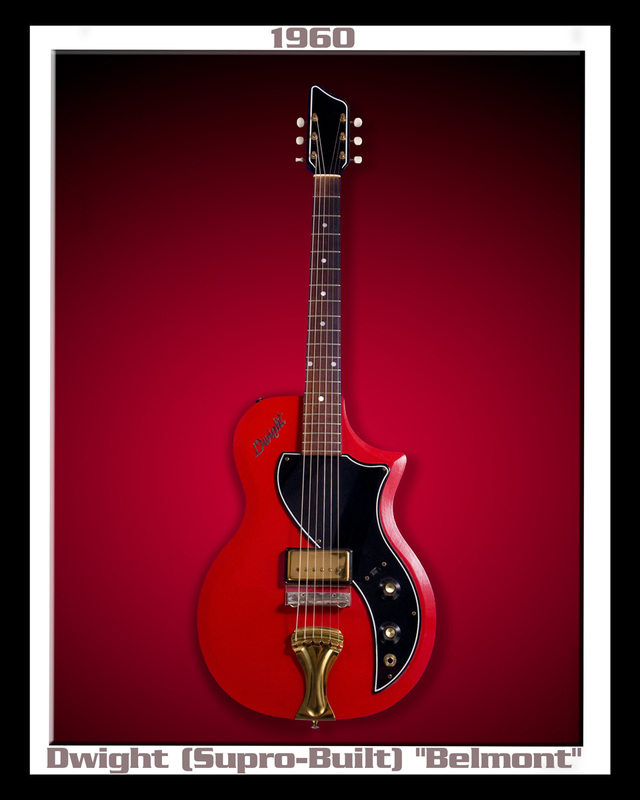 Supro-made Dwight Guitars are far rarer than their Epiphone built Dwight Coronet counterparts. 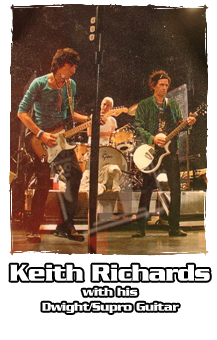 The Supro & Epiphone guitars of this period were very well made. These Dwight guitars counted among the better ones produced. In the late '50s, these Epiphone & Supro guitars were launched as an alternative to the popular Les Paul Junior. The Chicago Musical Instrument Company (CMI) distributed these re-branded Dwights to Sonny Shields.